It's September -- and time for the annual refresh of the Apple iPod line, with new generations of the iPod nano and touch, tweaks to the iPod shuffle and classic, bright colors, and fun enhancements to iTunes 8 with the Genius feature. 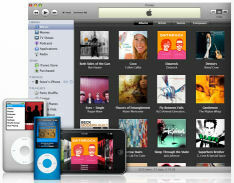 Apple describes the iPod as the world’s most popular family of digital music players, with over 160 million sold and holding at over 70% of the market. Its iTunes Store has moved up to be the #1 music distributor in any format in U.S., with a catalog of 8.5 million songs, over 30,000 TV episodes, and over 2,500 films including 600 in HD. And the new App Store has seen more than 100 million applications downloaded since the launch on July 11, with more than 3,000 available, over 90% under $10, and more than 600 are free. - The new 4th generation iPod nano returns to a vertical design, with the same screen resolution in an even slimmer design (reducing from 1.74 to 1.3 oz.). It also adds a built-in accelerometer: rotate sideways for a widescreen view with Cover Flow album art, or shake to shuffle music. It's available in nine colors, with double the storage at the same price, 8 GB for $149, 16 GB for $199. 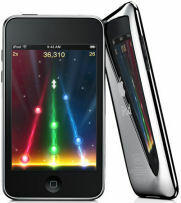 - The new 2nd generation iPod touch is smaller and lighter (from 4.2 to 4.05 oz. ), and adds integrated volume control buttons and a built-in speaker for casual listening. It also doubles the storage with 8 GB for $229, 16 GB for $299, and 32 GB for $399. - The iPod classic simplifies to one slimline model with 50% more capacity, with 120 GB for $249. - The iPod shuffle adds four vivid new colors, still at 1 GB for $49, 2 GB for $69. - iTunes 8 adds enhanced visual browsing by album and video covers, and adds high definition television programs from ABC, NBC (returning to the iTunes store), and Showtime for $2.99 per episode. But the big addition is the new Genius feature that automatically creates playlists from songs in your music library that go great together, as well as recommending related music from the iTunes Store. You also can create Genius playlists on-the-go with the new iPods. The Microsoft Zune line of media players also has been updated, with increased capacity (matching the recent changes in the Apple iPod -- see previous post), and new 3.0 software with even more emphasis on music discovery features -- supported for all existing devices. The flash memory Zune doubled capacity at the same price, with 8 GB for $149 and the new 16 GB for $199 (remaining 4 GB units drop to $129). The hard disk Zune stepped from 80 to 120 GB for the same $249 (remaining 80 GB units are now $229. That's some 4,000 songs or 48 hours of video in the 16 GB flash memory model in a smaller 1.7 oz. size, or 30,000 songs or 375 hours video in the 120 GB hard drive model that's somewhat larger and certainly heavier at 4.5 oz. The new Zune device software upgrades the firmware to extract RDS and RT+ data feeds from FM broadcasts, so you can Buy from FM -- tag songs to access later. You can download when docked to your computer or at a Wi-Fi hot spot, or listen over Wi-Fi with a Zune Pass subscription. The device software also adds support for audiobooks, the beginnings of games to play on the go, and a handy clock. The new Zune PC software adds new music discovery features, including channels with music programming in different genres, and personal recommendations based on comparing your library with others. There's also new visualization interfaces, including the Mixview dynamic display mapping artists to their influences, related artists and power listeners. Also check out the Zune Originals online store with exclusive color combinations and options to customize your Zune player with laser-engraved art and personal text (see previous post). Mobile phones mean instant communication. And camera phones offer instant sharing of photos with multimedia messaging to other phones, to the Web, and to PCs. 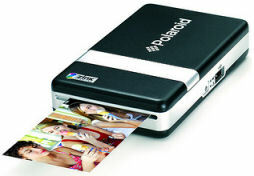 And now the Polaroid PoGo portable printer offers instant (OK, one-minute) photo printing, wirelessly from cell phones (through Bluetooth) or directly from digital cameras (over USB) -- for around $149. The PoGo (Polaroid-on-the-Go) is definitely portable --palm sized (0.93 x 2.83 x 4.72 inches), and weighing 8 pounds. It's powered by a rechargeable (and replaceable) lithium-ion battery, providing 15 prints per charge. Not surprisingly, the PoGo prints small prints -- 2 x 3 inches, like a business card. The magic here is the ZINK (Zero-Ink) printing technology. There's no ink cartridges or ribbons; instead the paper uses heat-activated dye crystals that create prints that are durable, smudge-proof, water-resistant, and fade-resistant. It holds around 10 photo sheets at a time. The ZINK Photo Paper is sold in 10-packs for around $4 and 30-packs for $10, or some 33 to 40 cents per print. This is obviously not a high-end printer -- Polaroid describes the prints as equivalent to 300 dpi, matching images around 2 to 3 megapixels. Soft and fuzzy photos from camera phones looked dull, but sharper and higher-res images from a digital camera looked pretty good, although you can clearly see the color blocks under a magnifying glass. So the PoGo is a fun and easy to use portable printer for quickly sharing photos on the go that would otherwise be locked inside your camera phone or digital camera. The paper actually has a peel-off sticky back, so you even can make instant photo stickers. See my Digital Cameras Gallery for details on this and related products. I'm a big fan of the emerging category of "pocket video cameras," first popularized by the RCA Small Wonder (see earlier post) and Pure Digital Flip (see earlier post). These are so easy to use -- small enough to take with you almost anywhere, power on and start shooting in seconds -- and record good-looking standard-definition video that you can quickly post as-is to YouTube, or edit and burn to DVD. The Flip Mino, for example, is only about 4 x 2 x 1/2 inches and 3 1/3 ounces, but records up to 60 minutes of MPEG-4 video, for $179. It's great for shooting unobtrusively to catch informal shots at events, and is a lot easier to carry than a full-up camcorder. Yes, you give up a lot of options, but you're much more likely to have it along, and it's better quality and easier to use than your camera phone. 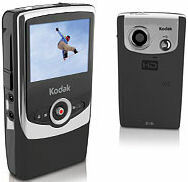 But now the pocket video category is broadening with the introduction of new cameras that actually shoot high-definition video (720p), including a brand new new RCA Small Wonder, several models from DXG, and the Kodak Zi6. I'm very impressed with the Kodak Zi6 HD Pocket Video Camera, especially at the $179 price. 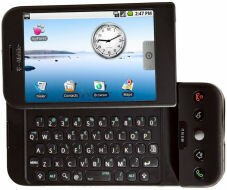 It has a larger 2.4" display, shoots HD (1280 x 720) and standard-def (640 x 480) video, plus a 60 fps HD mode for fast motion. It also shoots still photos (2048 x 1536), and has a close-up macro mode. It's a bit bigger and heavier, but still in the range of handheld devices, at 4.5 × 2.5 × 1 inches and 3.8 ounces (plus batteries). Even with these features, the Zi6 is still easy to use. The controls are simple and clear, with a small joystick for menu navigation and play control. And, like the earlier pocket vidcams, it runs on easily replacable AA batteries and includes a pop-out USB connector to easily transfer files to a computer (and has built-in editing software that runs from the internal memory). It has a SD / SDHC slot for expandable memory (4 GB holds around 1 hour of HD video), plus around 30 MB of internal memory available. Plus it has two video output connectors, standard A/V for playing on a TV, and component for HD displays. My major complaint is that you can't silence the built-in sound effects (power on/off, record start/stop, photo shutter), which makes it difficult to be unobtrusive when trying to record at performances and other quiet events. UPDATE: This is fixed as of 3/2009 with a firmware update -- see the Kodak support page. Also be aware of common issues with all of these small and light handheld cameras. It's difficult to hold them steady, so your footage will be shaky unless you pay attention to bracing yourself as you shoot. And the sound is recorded from the tiny built-in microphone, so make sure you're getting good audio in the environment, and watch out for wind noise on breezy days. If you're a fan of the Roxio Creator suite of digital media tools, you have only one more day to snap up a free copy of the Blu-ray/HD plug-in for the new version. Roxio Creator goes back to Easy CD Creator for disk burning, which expanded to Easy Media Creator with support for DVD burning, and then into a full suite of digital media tools for working with video, audio, and photos -- and sharing to portable players and online. Roxio Creator 2009 continues this progression as a market-leading suite for media creation, editing, sharing, and management -- capture and import, organize and manage, edit and author, convert and burn and upload and transfer. And it continues its consumer-friendly design, with a main launcher for quick access to tasks and creation tools, plus how-to articles and video tutorials for creative inspiration. Creator 2009 adds integrated access to online services (sharing via Roxio Online), High-Def support (AVCHD import and burning HD to standard DVD discs), and fun audio features including the Audiobook Creator for portable players to convert an entire audiobook to a single file with chapter markers. Roxio Creator 2009 Suite is $99 (less $20 online discount). The High-Def/Blu-ray Disc Plug-In is $29 to author to Blu-ray discs. Roxio Creator 2009 Ultimate for $129 (less $20 online) includes the HD/Blu-ray plug-in plus audio and backup tools. 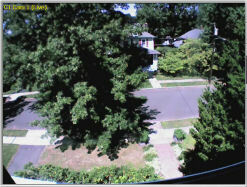 See my DVD Authoring Software Gallery for more on Creator 2009, DVD authoring, and media suites. Nero has just released the latest version of its digital media suite, Nero 9, featuring an updated StartSmart launcher that has built-in quick media playback, ripping, burning, copying, and backup. The suite still is based on Nero's long-established disc ripping, burning, and backup tools, including Nero Burning ROM and associated drive information and analysis tools. There's also a new Autobackup for scheduled local or online backup. And like the Roxio Creator suite (see previous post), Nero includes tools for digital media creation and editing -- photos, audio, and video. There's some nice new features including Tape-scan high-speed preview of scenes from DV or HDV tapes, Movie Wizard template-based movie creation, Music Grabber to automatically extract music clips in a video, and Ad Spotter to remove commercials. Nero 9 also now supports high-def editing from AVCHD camcorders, with Nero SmartEncoding for efficient compression, and burning of HD projects to standard DVD media -- or to Blu-ray discs with the additional Blu-ray Disc Authoring Plug-in. 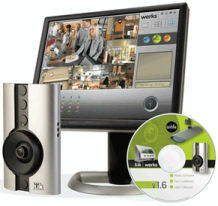 Nero also continues building its support for home entertainment across multiple devices in the networked home. Use the new Nero Live to watch and record live TV/HDTV (two channels at once). And check out the now trial version of Nero MediaHome to stream media files between your PC archive and other connected PCs and set-top devices (including the PlayStation 3 and Xbox 360). Nero 9 is 99.99, or $79.99 download. The Blu-ray Disc Authoring Plug-in is $9.99 download. 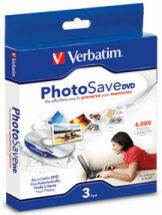 See my DVD Authoring Software Gallery for more on Nero 9, DVD authoring, and media suites. Entries posted to Manifest Tech Blog in September 2008, listed from oldest to newest.